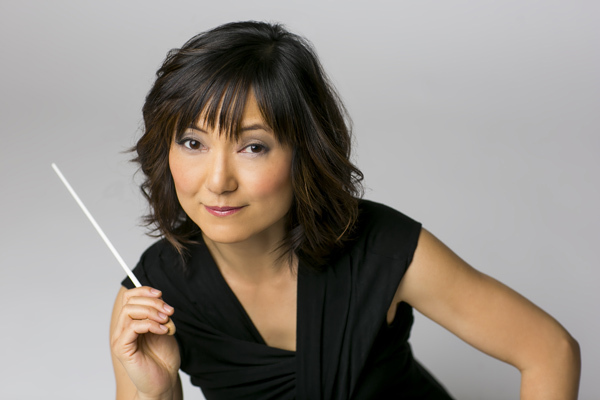 ASHEVILLE, N.C. – The first of the Asheville Symphony’s six finalists for its music director position, Rei Hotoda, takes audience members on a musical journey in her October 21 audition concert. Her program includes Dvořák’s Carnival Overture, Wijeratne’s Concerto for Tabla and Orchestra, featuring Grammy-winning tabla player Sandeep Das, and Tchaikovsky’s Symphony No. 5. The concert takes place at 8 p.m. in downtown Asheville’s Thomas Wolfe Auditorium. This will be the first opportunity for the Asheville audience to watch one of the music director finalists conduct and give feedback via a survey after the concert. The five other finalists will conduct concerts in November, February, March, April and May. Rei Hotoda is rapidly becoming one of America’s most sought-after and dynamic artists, and she was recently appointed music director of the Fresno Philharmonic. She has appeared as a guest conductor with many ensembles, including the symphony orchestras of Baltimore, Chicago, Dallas, Edmonton, Fort Worth, Jacksonville, Utah, Toronto, and Winnipeg, as well as the Colorado and St. Louis symphonies. Her repertoire spans the staples of the classical canon to works by leading composers of today, and she is equally at home leading the orchestra from the piano and from the podium. The program begins with Dvořák’s lively Carnival Overture. Dvořák gave this description of the piece: “The lonely, contemplative wanderer reaches the city at nightfall, where a carnival is in full swing. On every side is heard the clangor of instruments, mingled with shouts of joy and the unrestrained hilarity of people giving vent to their feelings in their songs and dance tunes.” From the opening bars the overture explodes with sound, featuring a clanging triangle and rattling tambourine. A more delicate, subdued middle section is followed by a return to jubilant energy in the piece’s conclusion. 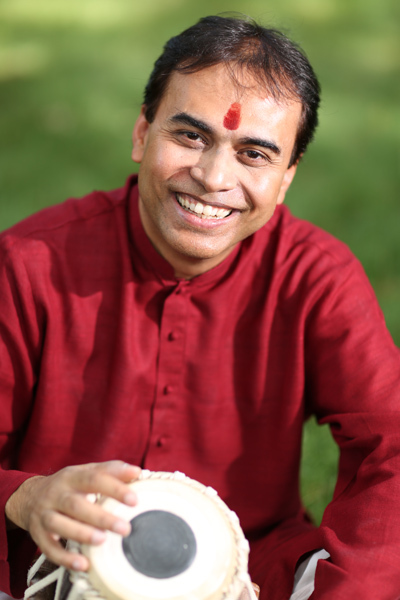 The tabla, a South Asian percussion instrument consisting of a pair of small drums, is used in a variety of Hindustani music from northern India, Pakistan and Bangladesh and has also gained international popularity in folk, pop, and world music and in music from film scores. Wijeratne’s Concerto for Tabla and Orchestra, premiered in 2011, blends the unique timbre of the tabla with the full palette of the orchestra. The concerto’s three movements combine symphonic styles such as the canon, with traditional tabla beat cycles to stunning effect. The final stop on the concert’s journey is Russia, with Tchaikovsky’s powerful Symphony No. 5. Though this symphony does not have an explicitly nationalistic style, it is distinctly Russian in flavor. This mighty symphonic tapestry depicts Tchaikovsky’s struggles, joys and triumphs. Saturday, October 21, 2017 • 8 p.m.